This place is so popular amongst my friends. I really don’t get it. It’s like mediocre Korean food in a room full of fobby Asians (Disclaimer – I am Asian and I have nothing against my people.) The main event here is the soju. So, if you plan to get drunk and you don’t care how your food tastes, come to The Spot. You’ll find The Spot on a residential block on Taraval. It’s easy to spot because of the pack of Asians smoking in front. This place is great for hosting parties. They have a room in the back with a karaoke machine that, I believe, is free to use. A friend of mine hosted a fundraising event there in which they gave her a percentage of the cost of food that was purchased in her party. There are so many other Korean places in the Sunset that’s so much better. I’m guessing you’d have to look at this place as a bar and not a restaurant. The Spot has about 12 different flavors of soju ($14 each) including yogurt, guava, strawberry, mango, etc. Kimchi Pancake – This was the best thing we ordered. the pancake was thin and chewy, but a little too sour for my liking. I don’t remember it being spicy either. Chicken wings – The marinade on the wings were good – sweet and tangy. The downside was that it was a tad bit over cooked. The meat was tough and chewy. Pork Bulgogi – Probably the worst bulgogi I’ve ever had. The taste didn’t even come close to any other Korean place I’ve been to. The meat was incredibly red from the food coloring and the sauce was way too thick and pasty. It was also way too sweet and it had no hint of spice at all. This is such a signature Korean dish, how could you mess this one up?? 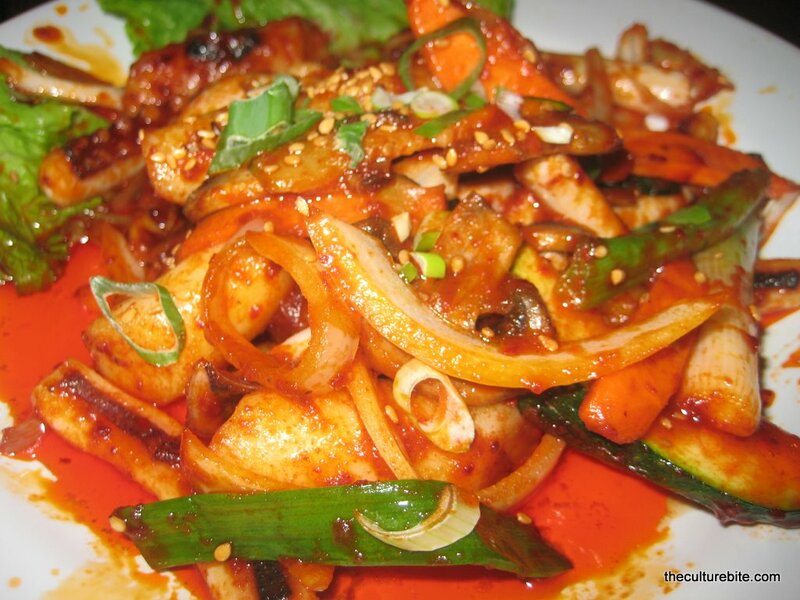 Spicy Rice Cakes – This dish also used the same thick, pasty sauce as the pork bulgogi. There were also way too many veggies in here. So much that they skimped out on the rice cakes. Chicken Gizzards – This was just a plate of sautéed gizzards and vegetables. Very plain and oily, but the veggies tasted good. All-in-all, I was very underwhelmed by the food. I think we paid about $25 per person for this meal too. I’d only recommend this place if you’re interested in bottles of soju with their free popcorn. It;s also a great place if you just want to have party rather than a meal. 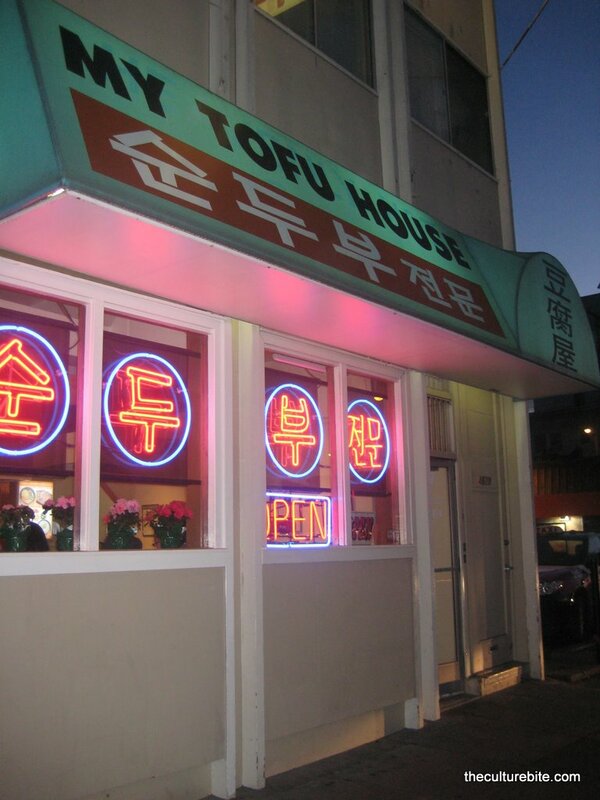 I haven’t tried too many Korean places in the city other than Shin Toe Bul Yi and The Spot, but I have to say (although I don’t have much to compare from) My Tofu House serves up really good authentic Korean food. There was a group of 7 of us and we got there before the dinner rush so we were able to get a table right away. Like every other Korean restaurant, there were a ton of appetizers – kimchi, pickled radishes, anchovies, and pickled zucchini. And, they give refills! We each got a small fried fish which was so good! I think it was fried with some kind of a black bean batter. Each person got a soup and the total came to $13 per person. Tofu and Kimchi Soup – We are all fanatics of the 7×7 Big Eat SF 100 Things You Must Try Before You Die list, so a majority of us ordered the spicy tofu and kimchi soup. When ordering the dish, you pick the level of heat and what kind of meat you want in it. I chose spicy with beef. The soup contained a few thin slices of beef, soft tofu, kimchi and tons of chili flakes. The sizzling hot soup is served in a clay pot with a raw egg in which you crack open and cook in the broth. They also give you a side of short grain rice to put in your soup. 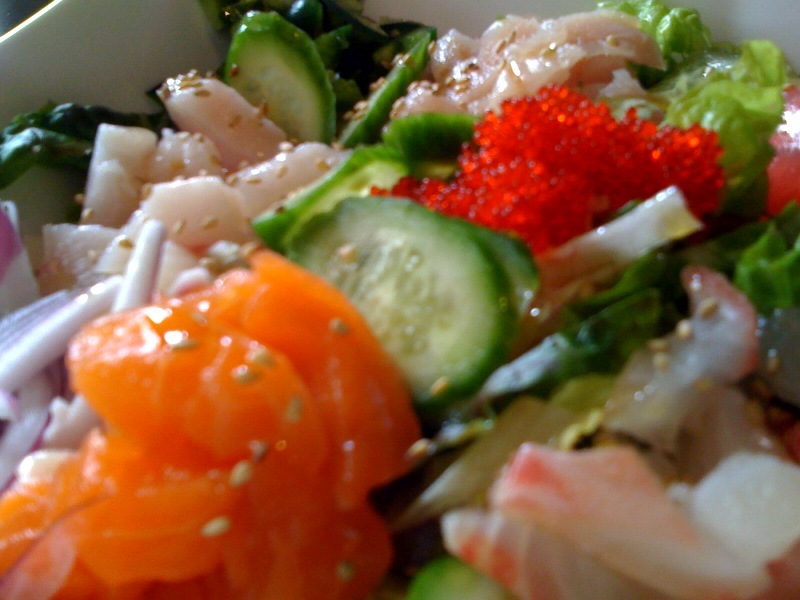 The bowl of soup itself looks small, but once you add in the rice and egg, you’ll be loosening your belt. I thought it was good, but I didn’t see why this particular soup was on the 7×7 list. To me, the soup tasted exactly like the free soup you get at Shin Toe Bul Yi on Taraval. The only thing that stood out of the meal was the fried fish. Yum, I’d come back just for that.